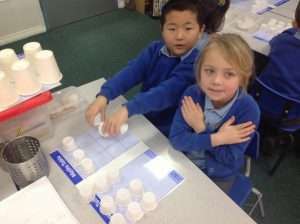 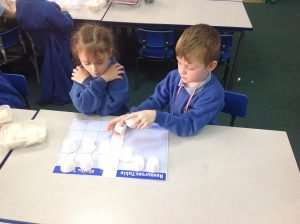 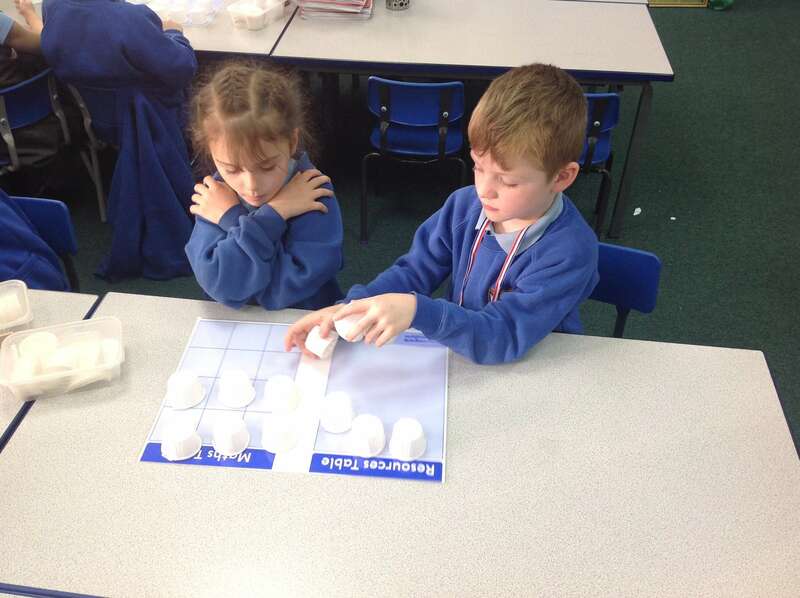 In our maths lesson today Year 2 have learnt how to multiply using Maths Makes Sense cups. 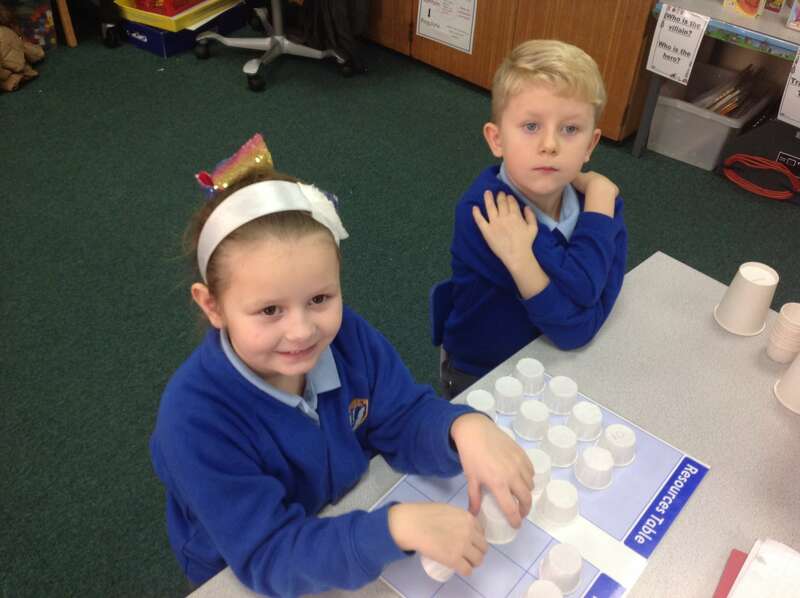 We have had a lot of fun acting out the action for multiplication. Mini Vinnie’s raise money for Cafod.